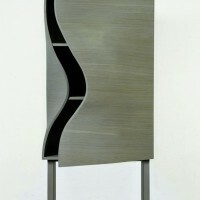 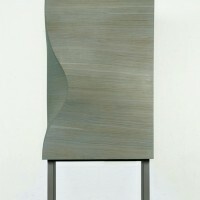 Swedish designer Jessika Källeskog of CONTOUR has created the Surface Cabinet. 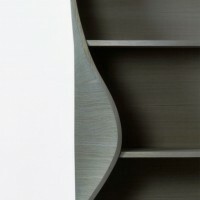 With an appearance of simplicity and sculptural influences, continuous lines develop planes into three-dimensional artifacts. 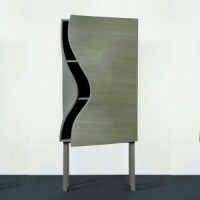 A boundless Collection of Furniture that includes Surface Lounge Table and Surface Cabinet as a continuation of the Cut tables. 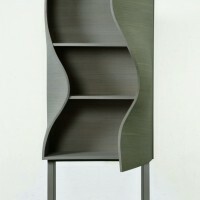 The form conceptually derives from a square plane surface; folded by a soft curved division, resulting in a development of concave and convex shapes connecting the front and the left side of the cabinet; provoking a living bulging shape in a harmonic wave. 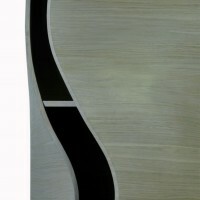 Visit the CONTOUR website – here.